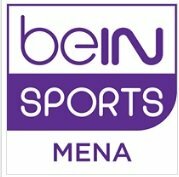 Sports TV Channel / beIN Sports is a global network of sports channels owned and operated by beIN Media Group, a spinoff of Al Jazeera network. BeIN currently operates three full-time channels in France (where beIN Sports was launched for the first time) – beIN Sports 1, beIN Sports 2, beIN Sports 3 and 7 additional channels named beIN Sports MAX (4 to 10) – and launched two channels in the United States (English and Spanish) in August 2012. It launched a live online streaming service in Canada in October 2013 which was followed by a full channel launch on January 31, 2014, after several years of delays due to the regulatory environment in Canada. It currently operates one channel and beIN Sports MAX 1-8 in Spain dedicated to football from July 2015 owned by beIN Media Group but operated by Mediapro.